Flow Factor stocks the Parker GP10A (70810) 1 inch Solenoid Valve. 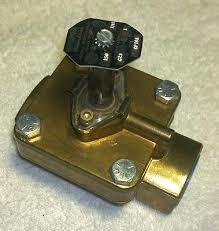 Parker Premier Valve, GP10A is a General Purpose 1 inch valve, brass body, 1-150 psi for air, water and oil. The Parker After Market GP 10A has a Cv of 12.20 and a maximum temperature of 225. The GP 10A requires a G23 coil for operation. Parker model number is GP 10A ( 70810 ).